I will always remember from time to time, when coming from school, in cold and rainy autumn and winter days, opening the door and immediately smell the baking sweets being made. My fondest memories are of my mother baking “Zavarnie Kolechki” (Choux Pastry Rings). I hope you’ll enjoy this delicate dessert from my childhood. I wonder what foods and recipes do you remember fondly from childhood, and where are you from? Elegantly light and crisp, choux pastry puffs up during baking to at least double its original size, creating a hollow center, perfect for sweet filling. Choux is one of the easiest pastries to make; follow the instructions and you can’t go wrong. To make the Choux Pastry Rings: Preheat the oven to 400F/200C. Sift the flour and salt on to a small sheet of baking parchment. Put the butter and water in a pan and heat very gently until the butter has melted. Increase the heat and bring to a rolling boil. Remove the pan from the heat and immediately tip in all the flour and beat vigorously until the flour is mixed into the liquid. Return the pan to a low heat and beat the mixture, using a wooden spoon, until it begins to form a ball and leave the sides of the pan. This will take about 1 minute. Remove the pan from the heat again and allow to cool for few minutes. Add the eggs, one at a time, beating with the wooden spoon, until you have a very smooth shiny paste, thick enough to hold its shape. Put the paste into a pastry bag fitted with star tip. Pipe out onto a baking sheet lined with parchment paper about 6-8 1-inch-thick rings, 4 inches in diameter. Space well apart. Bake for 15 minutes, then lower the oven temperature to 375F/190C and cook for a further 20-25 minutes. Take it from the oven when done and leave to cool. To make the Farmer Cheese Cream: Have all the ingredients at room temperature. 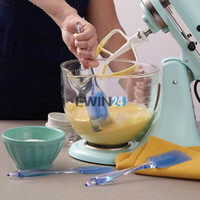 In the bowl of an electric mixer fitted with the flat beater, beat the butter and confectioners’ sugar on medium speed until smooth and fluffy, 2 to 3 minutes. Add the sweet condensed milk and vanilla extract and beat for 2 to 3 minutes more. Add the farmer cheese and beat until smooth. Add the orange extract or liqueur and beat until combined. Carefully slice the choux rings in half horizontally, generously spoon in the farmer cheese cream, spreading it evenly, and replace the top. Place the rings in refrigerator until a serving time. Dust with a little icing sugar and serve. Spoon or pipe choux pastry into the required shapes while it is still warm. For the best results, it should be baked straight away. So pretty and tempting! A heavenly dessert. They look stunning! I love that farmer cheese filling. The pastries look delicious and the photography so very beautiful. You're an artist.